Richmond garden plunder: thievery or a language barrier? 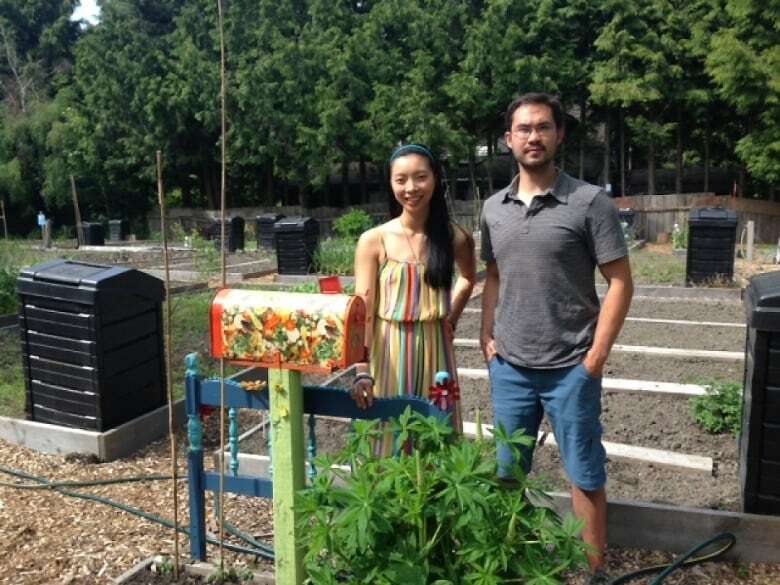 Local food advocates want to reach out to Richmond's diverse communities to get them more involved in community gardens, and help cut down on stealing from public plots. Community gardeners often worry about thieves carrying off their lovingly-grown carrots, cauliflower and other crops but, according to Colin Dring of the Richmond Food Security Society, sometimes purloined potatoes are a case of cultural misunderstanding, rather than intentional stealing. That's one of the reasons why his organization is embarking on a research project. Interns will survey local Asian media in order to better understand cultural attitudes around local food. The end goal is to craft a communications strategy to help educate Richmond's diverse population about local food issues — including community gardens — and clear up potential confusion. "We recognize that in Richmond we have a large Asian demographic," says Dring. "Part of our efforts are to educate people about public space and what you can and can't take out of them." At issue are differing attitudes about how public land is treated, depending on where people are coming from, says Claudia Li. She's the co-founder of the Hua Foundation, an organization aimed at involving Chinese-Canadians in local food issues. "Growing up here you see people building community gardens," says Li. "Even though I have never grown one... I understand the general concept. But for people that potentially come from different places, they may have never heard of community gardens." Which means food growing in a public park — as is the case with many community gardens — may be interpreted as free for the taking by members of the public. Dring says the problem is further exacerbated by the lack of signage in languages other than English. One of RFSS's goals is to develop more universal signage by adding visuals or additional languages in order to make the garden a more welcoming place for everyone. "We hope that when people walk into these gardens they're asking themselves, 'this is really exciting, how do I become a part of this?' not 'this is really exciting, I can't wait for this to grow so I can help myself to this.'" Dring stresses that theft from community gardens is a problem everywhere, not just in Richmond, and no particular demographic group is to blame. But that doesn't prevent stereotypes from cropping up, say both Dring and Li. "I think Chinese people do get a bad rap," says Li. And she think the negative attitudes are growing, across the country. "We have this huge influx from a place that's constantly changing. And we haven't had that community dialogue yet, which means we don't know our neighbours that well... so we reinforce those negative stereotypes to try to make sense of (the changes)." That's why Li and Dring are passionate about inviting more people to the table in the conversation about local food. "Food is a place of communion, gathering and celebration," says Li. "If you work from a place of celebration — something that's positive and exciting, and it's around sharing — people are more accepting and they break down those stereotypes. Community gardens are a great place to start to do that." Should backyard grown veggies be allowed to be sold in Saskatoon?